OES – Original Equipment Service disc brake pads are the most driver-friendly ceramic pads in the market today. Our products combine quiet performance with improved stopping power for your vehicle. Hawk Performance offers a premium ceramic disc brake pad called OES that delivers excellent performance, low dust and quiet operation with a standard noise dampening system. OES is engineered to reduce brake NVH (Noise, Vibration and Harshness), creating a quieter brake pad. 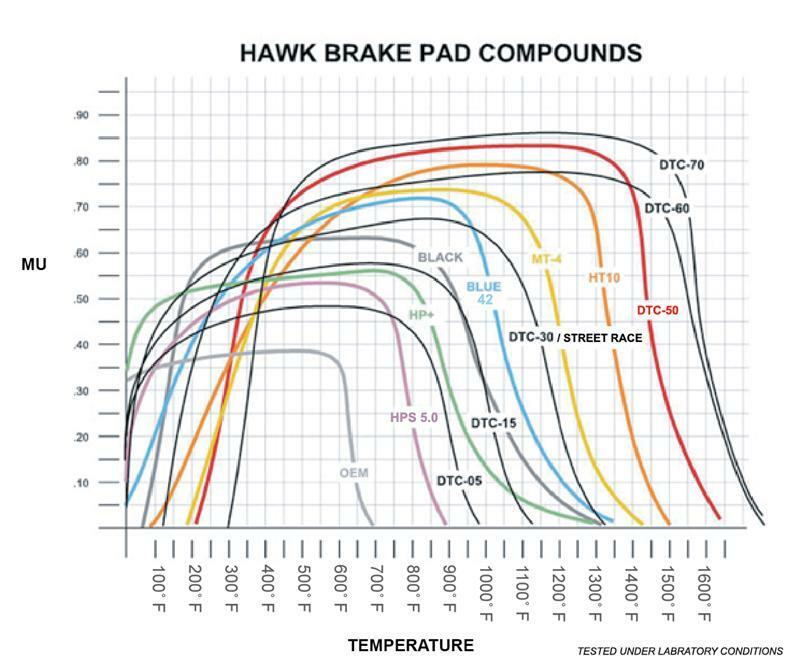 Furthermore, the ceramic brake pad formula has a linear friction profile that allows your ABS brake system to work more effectively, improving safety. With Premium Ceramic you can expect reduced brake pad wear, lower dust output levels and a rotor-friendly brake pad. Using a properly performing brake system, you’ll enjoy the peace of mind in knowing that your vehicle will safely stop each and every time. Selecting the right product for your specific car or truck is critical for performance and safety. OES – quiet, clean & fast stopping! 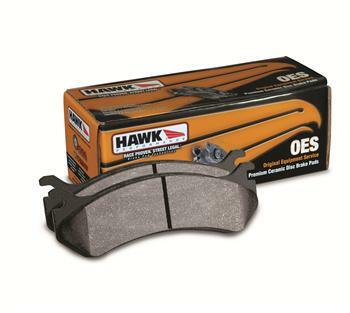 All Hawk Performance OES brake pads provide a limited lifetime warranty, ensuring products to be free of defects from manufacturer¹s workmanship and materials.